Edna Mae Mactaggart, late of Weyburn, SK, passed away on May 29, 2018, at the age of 100 years. Edna was predeceased by her parents Herbert and Mary Buckingham; her husband Howard Mactaggart; siblings: Ernest Buckingham, Mervin Buckingham, Marjorie Tyson, Allan Buckingham, Marie Nichols, Jean Ballie and John Buckingham; brothers and sisters-in-law: Garnet (Grace) Mactaggart and Donald (Marjory) Mactaggart. Edna is survived by her children: Joyce Kellington, Regina, SK and her family: Cheri Kellington (Kevan McBeth) and their family [Lauryn, Carter], Heather Kellington and her son [Noah]; Barry (Bonnie) Mactaggart, Weyburn, SK and their family: Shelley (Shane) Dammann and their family [Megan, Jake, Callie], Christopher Mactaggart; Shirley (Paul) Gregorash, Vernon, BC and their family Kevin, Paula (Dan) Milne and their son [Liam]; Ross (Colette) Mactaggart, Calgary, AB and their family Eleni Mactaggart, Danica (Zack) Hartle; sister-in-law Bette Buckingham, Winnipeg, MB; as well as numerous nieces and nephews. 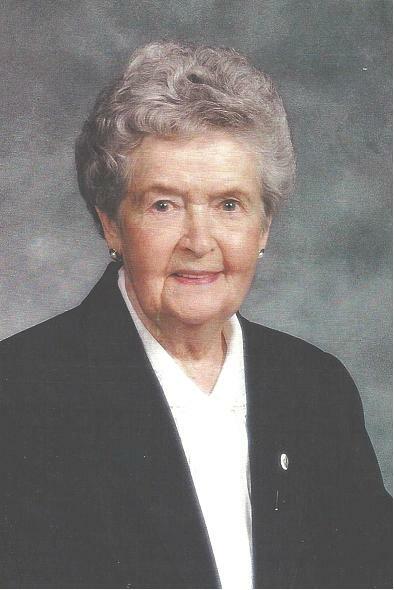 A Service of Remembrance for Edna was held Wednesday, June 6, 2018 at 1:00 p.m. from RD Family Funeral Chapel, Weyburn, SK with Rev. M. Barnabas officiating. Interment was held at Green Acres Memorial Gardens, Weyburn, SK with a luncheon following at the Wheatland Senior Centre, 888 ~ 1st Avenue, Weyburn, SK. For family and friends so wishing, charitable donations in memory of Edna may be made to the Grace United Church Memorial Fund, 210 3rd Street, Weyburn, SK, S4H 0W6 or the Heart & Stroke Foundation of Saskatchewan, 1738 Quebec Avenue, Unit 26, Saskatoon, SK, S7K 1V9.